The Holy Family of Nazareth almost never was, however; Joseph, to whom Mary was betrothed when the Archangel Gabriel appeared to Mary at the Annunciation, was a righteous man, and upon learning of Mary’s pregnancy, planned to quietly divorce her. “Such was his intention when, behold, the angel of the Lord appeared to him in a dream and said, ‘Joseph, son of David, do not be afraid to take Mary your wife into your home. For it is through the holy Spirit that this child has been conceived in her. 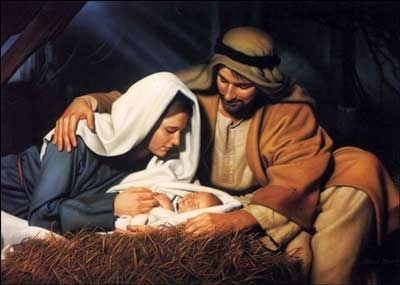 She will bear a son and you are to name him Jesus….When Joseph awoke, he did as the angel of the Lord had commanded him and took his wife into his home.” (cf. Mt. 1:20-21, 24) Joseph’s sacrifice and gift of self and love was manifested in his role as provider and protector for Mary and Jesus. Like Jesus, many children in our own Commonwealth, across the nation and around the world are in need of a family’s love this Christmas. Here in our own backyard, there are hundreds of children in Virginia’s foster care system waiting to find a forever home. In May, Governor McDonnell launched “VA Adopts: Campaign for 1,000”, aimed at matching 1,000 children with permanent, loving families. Over 900 children have been placed with families since the start of the campaign. Still more children are looking for the same opportunity, seeking a family to adopt them and model Christ’s love for them. Catholic Charities in Richmond, Arlington and Eastern Virginia seek to place children in need of loving homes with adoptive families willing to give the most precious gift of all to a child in need – a mother and a father, and a witness to the spousal love Christ has for His bride, the Church. As we celebrate family this Christmas season, let us remember the call of St. Joseph to love and protect the Holy Family. Consider opening your heart and home to a child in need of a family. Your gift of love is a gift of life.